Disasters that involve sewage and environmental bio-hazards are a threat to you, your family, and your business. Without proper cleanup, hazardous substances can cause serious illness from bacteria and airborne viruses. To avoid these issues with sewage or environmental disasters, it’s necessary to get in touch as soon as possible. We work directly with your insurance company to help you avoid out of pocket costs, from the cleanup and restoration to the repair of your home or business, we are a start to finish sewage cleanup service. If you think you have a sewage backup or environmental cleanup need, contact us right away. We are able to get a trained cleanup expert to your property in a short time so that the cleanup and restoration process can truly begin. As soon as we arrive on sight, we get to work to identify the sewage problem that needs to be repaired. We also assess the damage that may have been caused to the property and develop a plan to correct it. 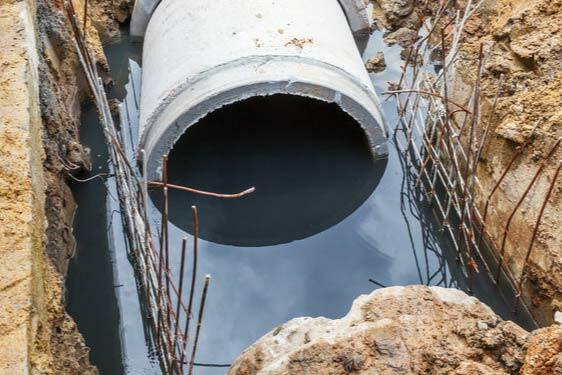 The most important step in sewage cleanup is repairing the problem that caused the backup or other issue, and then working quickly to remove any toxins from the property. Once the problem is addressed and remedied, our team cleans affected areas of the property and removes remaining moisture to prevent mold or ongoing odor. We also deodorize and thoroughly sanitize the area, so there is no lingering smell. Every sewage and environmental cleanup recovery service offered by REDS comes with a completeness guarantee. No matter the cause of the problem, our team not only provides the cleanup and restoration but also works to ensure the job is completed fully and the property restored to its original condition. We also work directly with the insurance company throughout the process, eliminating the financial stress of getting the sewage cleanup you need.